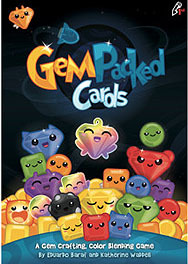 GemPacked Cards is a gem crafting, colour blending game. Race to create the rarest gems as you combine colours in ways you never expected! Unique combination of set collecting and trading!